Abstract: This volume examines how teacher educators are (or are not) supporting beginning and experienced social studies teachers in such turbulent times, and it offers suggestions for moving the field forward by better educating teachers to address growing local, national, and global concerns. 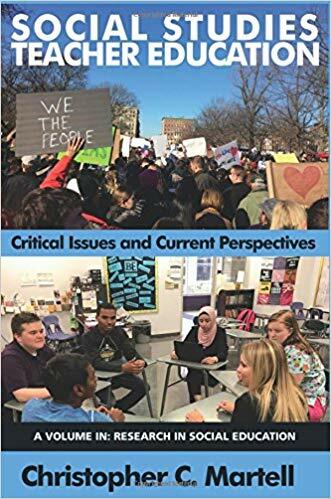 In their chapters, authors in social studies education present research with implications for practice related to the following topics: race, gender, sexual orientation, immigration, religion, disciplinary literacy, global civics, and social justice. This book is guided by the following overarching questions: What can the research tell us about preparing and developing social studies teachers for an increasingly complex, interconnected, and rapidly changing world? How can we educate social studies teachers to “teach against the grain” (CochranSmith, 1991, 2001b), centering their work on social justice, social change, and social responsibility?